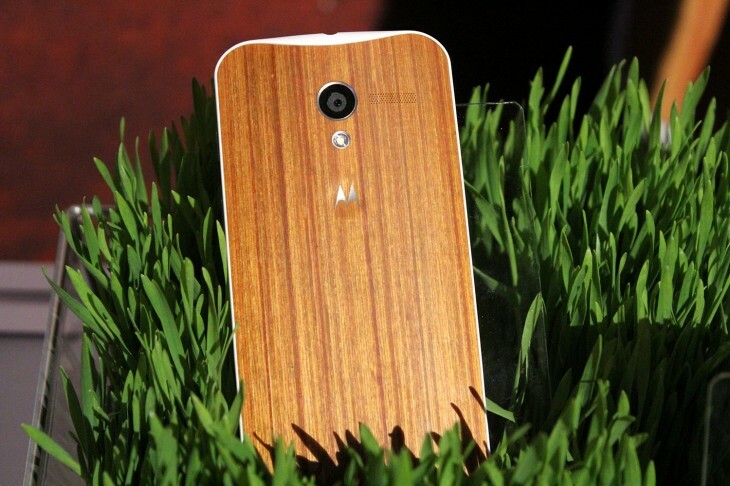 Motorola is due to launch it’s flagship smartphone, the Moto X+1 soon. Several rumors have informed us that the launch date for the device is to be sometime this August. The company released the Moto X smartphone last year in the August, and the device offered customization options quite unlike the other products available in the market. Apart from giving users the ability to choose between black or white colors for the front the Moto X also provided other options. It gave users the option to choose between 27 different color options and 4 wood options for the rear of the phone. The end result was a spectacular looking device, with customization unparalleled in the market. Well, the Moto X is soon to be replaced by a successor, and courtesy of brazilian vendor livraria logos, we have now been able to get our hands on some expected specifications of the device as well. The brazilian retailer who has leaked the specifications is known for these type of events. Previously they detailed the specifications of the Moto E before its launch, and it seems like they’ve done it again. The information was taken down moments after its posting, and its possible that they simply slipped up and posted the data beforehand. According to the information posted, the Moto X+1 is to feature a 2.3 GHz Quad-core Snapdragon 800 processor. The front camera for the phone will be 2 Megapixels and the rear camera will have a resolution of 12 Megapixels. The phone is to come with 32 GB of internal memory. The Snapdragon 800 on the Moto X+1 will be coupled with 2 GB of RAM. Running the Android 4.4 KitKat, the Moto X+1 will be water-resistant and come with a 2900 mAh battery. Now coming towards sources other than the brazilian vendor, according to previous rumors, the Moto X+1 is expected to cost around $400. The specifications of the device are similar to other flagship phones there in the market, give or take a few details. But given the high amount of customization options Motorola want to go with this time as well, the Moto X+1 might as well end up giving other devices a run for their money. In addition, a previous benchmark on the GFX site has specifications eerily similar to the ones leaked by the brazilian vendor. The benchmark details the GPU of the phone to be a Qualcomm Adreno 330 and also details a pedomenter. This might be used to pair the device with the Moto 360, which is expected to be launched alongside the phone.